SPOKANE, Wash. – Gonzaga University is among the nation’s best-value universities for students seeking outstanding academics and superb career preparation at an affordable price with generous financial aid, The Princeton Review announced this week. 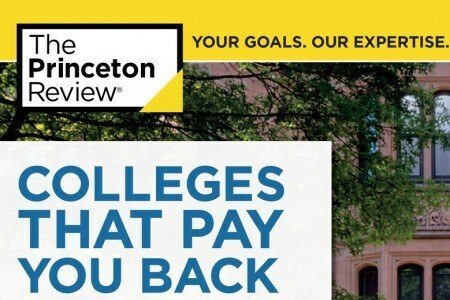 The education services company includes Gonzaga in the 2017 edition of its book, “Colleges That Pay You Back: The 200 Schools That Give You the Best Bang for Your Tuition Buck.” The company posted its school profiles for this book and its seven categories of ranking lists online: www.princetonreview.com/colleges-pay-you-back. The book does not rank the colleges, 1-to-200, on its alphabetically ordered list. The Princeton Review developed a “Return-on-Investment” methodology to create its ratings that includes academics, cost, and financial aid to graduation rates, student debt, and alumni salaries and job satisfaction. Its editors also culled data from its surveys of administrators and students in 2015-16 and from PayScale.com’s surveys of school alumni conducted through April 2016. View Gonzaga’s profile in the book. For more information, visit www.princetonreview.com or Amy Briskin, Princeton Review publicist, at 917-734-1639 or amy.briskin@gmail.com.